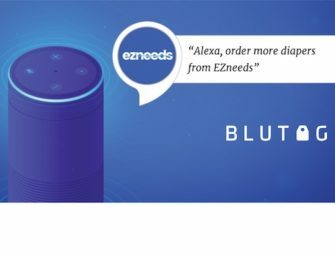 The product hasn’t landed on a single doorstep, but BI Intelligence has survey data suggesting that Amazon Echo Show sales could double or even surpass adoption of all other Alexa-enabled Echo products in use today. The survey of a research panel of 779 consumers provided some stunning results. Over 25% said they planned to buy the product in the next year, including 1% that has pre-ordered the devices. 9 Million Amazon Echo Show Sales Forecast? The article author, Jonathan Camhi, does suggest that the panel is younger and more affluent than the general U.S. population. As a result, they essentially divide the number by four to estimate that Amazon Echo Show sales will top nine million units in the first year. I think they overestimate the number of households over the next year by five million, but they don’t consider multiple units per household which Voicebot estimates at 1.18 for Amazon Echo. That seems reasonable for these devices. Using BI’s survey methodology, Voicebot data suggests 8.47 million households with 10 million devices by the end of Q2 2018. This seems high, but our analysis does suggest that Echo Show combined with the new Alexa calling and messaging feature represent to first potential viral elements to invade the voice assistant space. With that said, 5-7 million units seems like a better estimate. The more interesting number might be the 1% pre-order figure. Using the BI methodology, 1% suggests about 300,000 units have been pre-ordered. Google Home only sold 500,000 units in the holiday season and Amazon may surpass that two-month sales figure easily if the initial release receives positive reviews. There is a lot of talk about the utility of voice assistants in general. Are they toys? Are they useful? Echo Show might not answer that question broadly for headless voice assistants, but apparently adding a screen makes it seem pretty useful. Fifty-four percent of the BI panel participants responded that Echo Show appeared to be useful with 11% saying it would be very useful. This data is all preliminary because no one has used an Echo Show to date. However, it does say something that consumers immediately understood the value proposition and viewed it favorably. Yes, the Cupertino crowd will likely say Amazon is just repackaging FaceTime and they might mention similar features during WWDC next week. However, combining voice assistants with video calling and intercom technology has captured the imagination of at least 300,000 consumers and maybe over a million. Wait until the holidays when shoppers are looking for that unique gift and want something that helps the family stay connected. The forecasts could just as easily fall short as overshoot the mark.